Gemini Rail Services can manage any heavy maintenance programme on any rail vehicle type, passenger or freight. 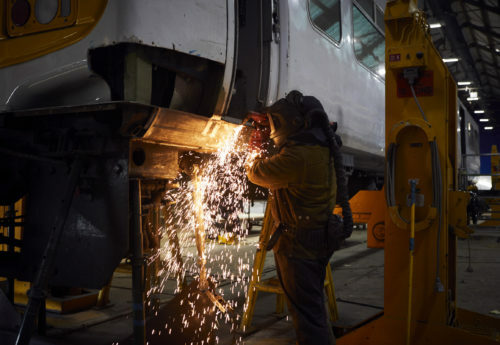 Gemini Rail Services have large capacity, dedicated paint shop facilities which are able to handle the most challenging of refinish demands including those of repaired vehicles. “Gemini are able to offer us a flexible approach to heavy maintenance - whilst maintaining high standards at every stage”. Gemini Rail Services can carry out the re-glazing on any rail vehicle type operating in the UK.